Our staff is small but nevertheless offers lessons and workshops on a wide variety of instruments. Lesson rates are $50 per and $35 per hour. Group lesson rates and formats are sometimes available - contact the teacher you're interested in to learn more! Hailed as “a young poet of the cello,” Mirjam Ingolfsson has established herself as an artist with her own distinct musical voice, and an active and important performer and pedagogue in the Philadelphia region. Ms. Ingolfsson has been featured soloist with orchestras such as the Icelandic Symphony, Tuscaloosa Symphony, the Concerto Soloists of Philadelphia, the Abington Symphony Orchestra and the Ocean City Pops, and has given recitals in Austria, France, Germany, the Netherlands, Spain, Switzerland, and the United States. As an avid and highly-sought after chamber musician, Ms. Ingolfsson performs with the Prometheus Chamber Orchestra, and is cellist of Archi Celesti. She has also collaborated with artists including pianists Ursula Ingolfsson-Fassbind, Robert Koenig, Bruce Polay, Vladimir Stoupel and Mikhail Yanovitsky, violinists Ellen dePasquale, Jason dePue, Sigrun Evaldsdöttir, Judith Ingolfsson, Phillip Kates, Nick Kendall, Julia Sakharova and Zina Schiff, organist and conductor Matthew Glandorf, and clarinetists Matthew Boyles and John Russo. Her performances on live radio and television include NPR, Icelandic State Radio and Television, CBS Sunday Morning, and PBS. Her acclaimed CD “Nesia,” devoted to composer David Hush on LMA recordings, has been broadcast on 2MBS-FM of Sydney, Australia. She has also recorded several CDs for the CRS label. As a proponent of new music and living composers, Ms. Ingolfsson has worked with composers such as David Finko, David Hush, among others, and has also been featured and reengaged on the popular “Salon” concert series hosted by Philadelphia composer Andrea Clearfield. A dedicated teacher, Mirjam Ingolfsson co-founded The Leopold Mozart Academy in 2001, where she teaches cello, Music Theory and Solfeggio. 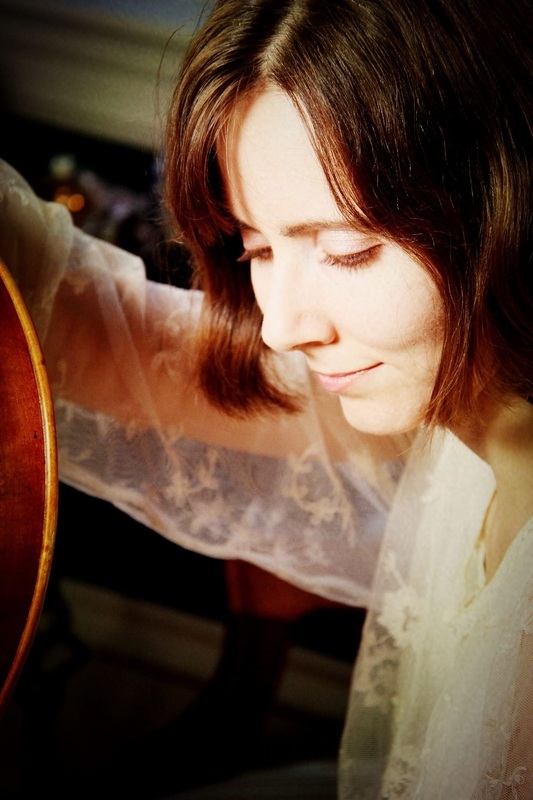 Born in Reykjavik, Iceland to a family of musicians and artists, Mirjam Ingolfsson started the cello at the age of four. At age seven, she toured Europe and the United States, recording the Bach G Major Solo Suite for the Belgian State Radio in Brussels. A year later, she made her solo debut at the 1983 Spoleto USA Festival. Soon thereafter Ms. Ingolfsson entered the Curtis Institute of Music, where she received her Bachelor of Music Degree. Her graduate studies were at the Cleveland Institute of Music and Temple University, where she received her Masters of Music degree. Ms. Ingolfsson is a winner of top prizes in numerous competitions such as the ASTA Pennsylvania State Competition and the Graham Stahl Cello Competition. She has participated in the Piatigorsky Seminar in Los Angeles and festivals such as the Bach Festival of Philadelphia, the Schleswig Holstein Festival in Germany and the Jeunesse Musicales Festival in Switzerland. Her major teachers include Orlando Cole, Alan Harris, Jeffrey Solow and Nathaniel Rosen. To find out more or inquire about scheduling a lesson with Mirjam, please contact her directly. Award winning fiddler and clawhammer banjo player Jane Rothfield has been playing old time music for over 30 years and has taught fiddle to all ages and abilities. She is known for her sweet tone, infectious rhythm, powerful playing and ever-present smile. 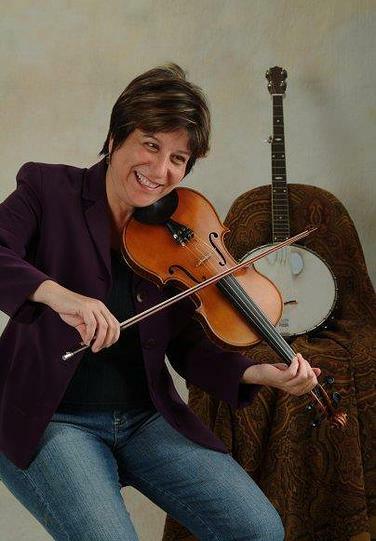 In addition to her private students, Jane has taught numerous group workshops at festivals (Old Songs, Philadelphia Folk Festival, Wheatland) and at music camps around the country (Festival of American Fiddle Tunes, Groove Camp, Old Songs Camps, Folk College, Banjo Camp North). She is a prolific and award winning tune writer (2x winner of Best Non-traditional Tune at Clifftop Appalachian Music Festival) and recording artist. She performs with numerous bands including Coracree (with Allan Carr, Bill Quern and Sarah Gowan), Great Big Taters (with Hilarie Burhans and Bernie Nau), Sugar Pie (with Kellie Allen, HIlarie Burhans and Sabra Guzman) and Panache Quartet (with Donna Hebert, Andrea Beaton and Veronique Plasse). You can find out more at Jane's website. To schedule a lesson, please contact Jane.